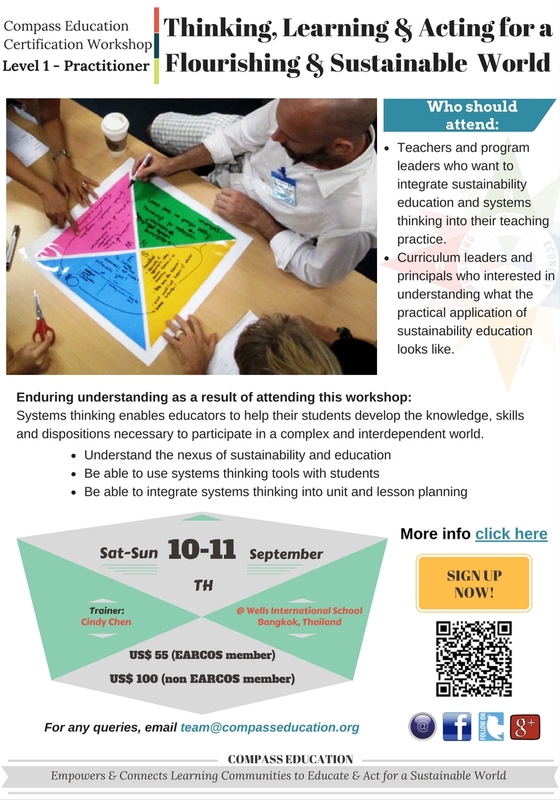 Who should attend: Teachers and program leaders who want to integrate sustainability education and systems thinking into their teaching practice. It would also be of value to curriculum leaders and principals interested in understanding what the practical application of sustainability education looks like. Oftentimes when it comes to approaching global issues, service, and sustainability, students and teachers are left with a nagging sense of gloom-and-doom, the feeling that somehow we are all responsible for destroying the planet but with no real way of understanding the complexity of the situation or, more importantly, what to do about it. In this course, educators will be empowered with a suite of tools developed by sustainability consultant Alan AtKisson to help both educators and students think critically and creatively about the bigger picture, gain a deeper understanding of sustainability, and understand our own contributions to the world. These tools and systems thinking methods will enable educators to help students develop the knowledge, skills and dispositions necessary to participate in a complex and interdependent world. The course will be a mix of theory and practice; educators will see examples of these tools in practice and be invited to innovate and strengthen their lessons, units, and programs them. This course is Level 1 of Compass Education’s 2-level educator training program. 08:30-10:00 – Session 1: Module 1 – Why are we here? Growing up in a multicultural environment, Cindy thrives to cultivate a global approach in education flourishing young leaders of the world. Cindy’s involvement with Compass Education started as a passionate teacher who wished to expand her horizons and tools towards systems thinking in 2013. Ever since, sustainability has been her core value, practices, and now a trainer with Compass Education, a non-profit network equipping schools for a sustainable future. Cindy has been a learner and educator at Wells International School (On Nut) serving as the High School Associate Principal dedicating to co-curricular and community engagement, CAS Coordinator and DP Environmental Systems and Societies teacher. She works with various young leaders of the generation exploring possibilities, passions, and taking action in their local community through classroom, experiential, and service learning. 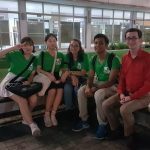 Cindy is very blessed to be involved in a very supportive and collaborative network amongst international schools in Thailand. 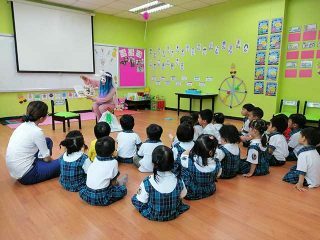 She is an active advisor for the Bangkok ServICE Network, which inspires, connects and empowers students and educators in the Bangkok-Pattaya-Phuket regions. In 2016, she co-organized and hosted the 5th annual conference. With education and sustainability in mind, Cindy humbly began her learning journey as a WASC visiting committee member traveling around the world with an open-mind, supporting educators and schools towards transformations. After each registration form is submitted, please make payment according to the payment instructions below. If an invoice is required to process a payment, please contact Cindy at cindy@wells.ac.th. Registration is not confirmed until payment has been received and confirmation of payment has been been sent. The registration fee includes daily lunches, morning/afternoon snacks and refreshments during breaks. After the payment is made, please scan the receipt and email it to cindy@wells.ac.th. Include in your email subject line “Compass Education – Level 1”. After the scanned copy of the receipt has been received, you will receive confirmation of your registration for the Compass Education Level 1. *Course fees include certificate of attendance, workshop materials, a course pack, snacks and lunch. There is a 5% discount if you are registering five or more participants. There is a 10% discount for ten participants or more.